Looking for a good idea? Want to brainstorm and get your creative juices flowing? Come to the Idea Jam on Thursday, Sept. 14, from 4-5 p.m. at Bird Library with David Edelstein ’78, vice chair of the Syracuse University Board of Trustees. The event will be held in Peter Graham Scholarly Commons, 114 Bird Library. Edelstein is an entrepreneur and corporate innovator whose career included positions in information management at IBM, Bristol-Myers Squibb and Siemens Healthcare Diagnostics (formerly Dade Behring). He is interested in meeting students to share his experiences and help jumpstart some innovative thinking. Edelstein will be pitching a few problems he’s identified, and hoping some students will be interested in devising creative solutions. Students will also be invited to make flash pitches and get feedback on their ideas. The fun, informal session will explore the “art of the start” through brainstorming and idea generation. It will be an opportunity to see how the process of ideation can lead to problem solving and creative solutions. 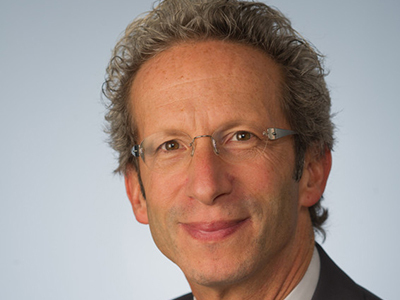 Before retiring, Edelstein served as the vice president of supply chain management project management at Siemens Healthcare Diagnostics, where he led the development of advanced information and e-business systems to support the company’s worldwide organization. Previously, he was senior vice president of regulatory affairs, quality systems, health, safety and environment, and CIO for Dade Behring. Prior to joining Dade Behring, Edelstein was vice president of information management and productivity, responsible for financial and supply chain systems at Bristol-Myers Squibb. He also held various positions in information technology for IBM. In addition to serving as vice chair of the Board of Trustees and chair of its Academic Affairs Committee, Edelstein has been a member of the dean’s council and Campaign Leadership Council for the College of Engineering and Computer Science, and an affiliate professor at the college and guest lectures on the topics of complex integration projects and health care and information technology. The event is sponsored by the Blackstone LaunchPad at Syracuse University with the College of Engineering and Computer Science, Whitman School of Management, the iSchool and the S.I. Newhouse School of Public Communications.